As I look at the landscape of the church today. I wonder if due to our declining numbers we have shifted our discipleship practices to respond more out of fear and less out of a sense of mission. Have our discipleship methods created more silos because we are returning to the increasingly less Christian culture around us? Instead, should we be viewing discipleship more as an opportunity to equip followers for the challenges of this unconnected to God culture? The German Pastor, Dietrich Bonhoeffer, who was martyred at the hands of the Nazis once said, “the Church is the church only when it exists for others” what he meant was for outsiders. In one of my former congregations sometime in the fall was time for the pastor to trick and guilt (00ps I mean encourage them to take on this opportunity to serve our Lord on our various dysfunctional boards and committees) members into filling positions of leadership in the church. I remember one time when I had decided gain some history as to how things had been done in the past, thinking that maybe there was a method that proved useful. My research uncovered a troubling bit of information when I inquired of my then 80-year-old Financial Secretary how he got the opportunity to serve. He described a sad, but I would discover a recurring tale of woe. The current Financial Secretary went on vacation and asked him to cover for him while he was gone, but the guy never returned. So this poor fellow had been stuck with this job for over 20-years. Me being who I am said to him so, “I guess you haven’t been able to trick anyone else into taking your place, eh?” This congregation was in the Rust Belt and upper a Midwestern culture. To be honest, I fell into this trap of trying to get people into God’s Word to show them how they are called to serve in our congregation’s current congregational needs only. I fell into silo thinking. Silo thinking caused me to spend most of my time trying to keep the current institution alive and functioning. Our ministry had become far too internally focused on our thoughts and practice. It made sense at the time we only had 54 in worship and were on District welfare. We needed to change our focus. We were creating silos and part-time low commitment disciples. We thought that asking for a higher level of engagement would only drive people away. We were not equipping the saints to share their faith, and the congregation suffered. More concerned about bringing people into the church. A significant shift took place in how we equipped our members for ministry. Our members spend only a few hours in church, but the majority of their other time trying to navigate the hard realities of the world that was becoming less and less Christ-centered. The challenge for us became how do we prepare them for being sent every single week into an ever increasingly hostile mission field. The answer was shifting to a sending mindset. Allow me to share this story, once my congregation made from silos to disciple-making, God blessed us with an increase in membership from 54 to 74 in worship in 18-months. Jesus talked about the priority of a relationship with Him. If anyone comes to Me and does not hate his own father and mother, wife and children, brothers and sisters—yes, and even his own life—he cannot be My disciple (Luke 14:26). A question to ask your leadership in response to this is: How do we grow in our love for Christ so that it becomes passionate? I don’t define passionate as solely an emotional response. I define passion as what is that ministry or cause of Christ’s that will tug at your heartstrings and moves you to let that tug of faith cause you to act. 2. Jesus discussed having the right purpose. Whoever does not bear his own cross and come after Me cannot be My disciple (Luke 14:27). A way to evaluate this in your local congregation is by asking this question: In what specific ways could you use faith stories and parables to help the church feel the tension of being off-course and too internally focused? 3. Jesus told prospective disciples that their commitment must be long-term. Christian discipleship addresses every dimension of life. It is concerned not only with doing the right thing in every circumstance but also with doing the right thing for the right reason. “But stay away from the godless myths that are passed down from the older women. Train yourself for a holy life! 8 While physical training has some value, training in holy living is useful for everything. It has the promise for this life now and the life to come.” 1 Tim. 4: 7-8. 4. Jesus stated that the disciples must be willing to practice generosity. Christian discipleship was intended by Christ to be reproductive. Those who follow Jesus’ life and teaching will be prepared to share their faith experiences eagerly and to invest themselves in the spiritual nurture of others with their time, talents and treasures. We can look at the challenges of this age and try and circle the wagons and hide away until Jesus returns, but is that the mission Jesus gave us to do? I am reminded of the message Jesus gave a frightened bunch of disciples hiding in an upper room. He appeared to them and said, Peace be with you and then this interaction. “As the Father sent me, so I am sending you.” Then he breathed on them and said, “Receive the Holy Spirit.” John 20:22. It is about equipping our people to be sent with the power of the Holy Spirit to accomplish the mission of God is a world that at times is hostile to the Truth. 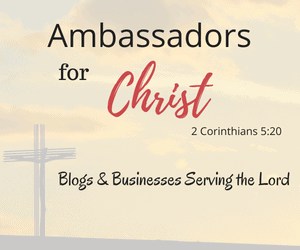 ← It’s Time Church To Stand and Speak Out! While it is true we sometimes go through a tough stretch ministry-wise remaining faithful is not our only call. We are also called upon to be fruitful. Work the soil where you are station and allow God to water, nourish and grow the seeds of our efforts. Thanks, buddy. That means a lot. I was wondering how to approach a topic I care a great deal about. Blessings. Great insight into the malady of long-time existing churches: “As I look at the landscape of the church today. I wonder if due to our declining numbers we have shifted our discipleship practices to respond more out of fear and less out of a sense of mission.” Moving out of a sense of Mission changes everything for a church! Great thoughts. God wants s to fight for the church, but sometimes we forget the church is the people, and the people need to have a relationship with God, follow Christ, and allow the Holy Spirit to dwell within their hearts. Thanks so much for sharing this! I have thought much the same thing for a number of years now. Thank you Carla. I think if the church starts to get discipleship it can impact ministry is some very positive ways. You’re right, things have changed. We’re living in a different age, yet the mission must still be the same.